Colder weather has arrived on the North Shore. As I am writing this the thermometer reads 18 degrees and our ponds are covered with a sheet of ice. 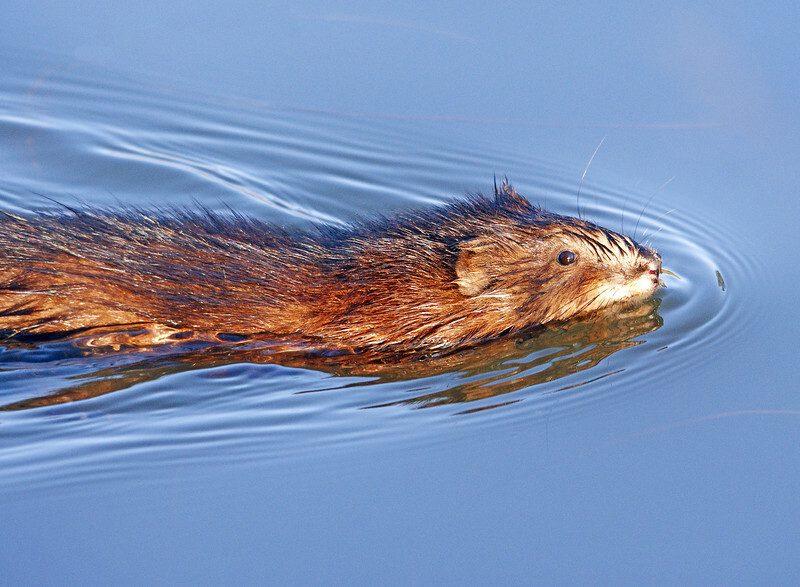 Almost every day this summer we have seen our resident muskrats swimming back and forth in both of our ponds. They are a lot of fun to watch. 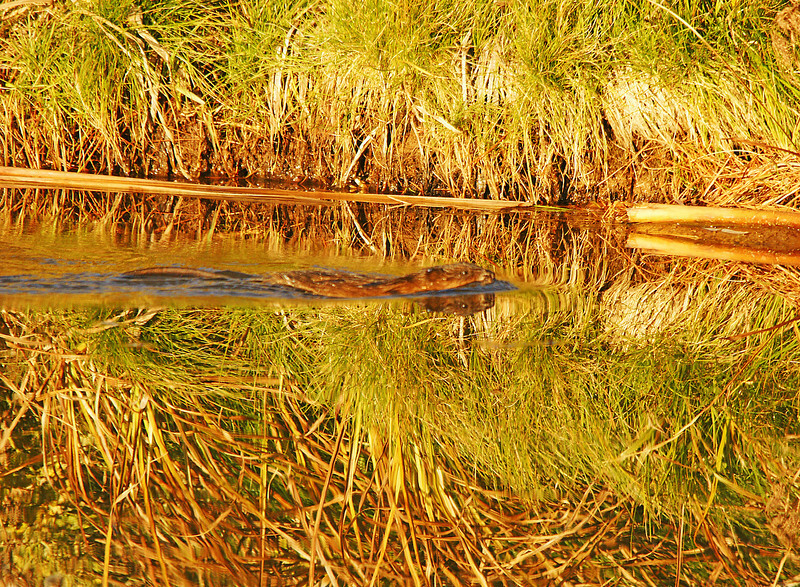 As the water gets colder the small waves made by the muskrat seem to be suspended in motion. We probably won’t see these guys again until next spring. Speaking of our ponds, if you get a chance to see the January issue of Lake Superior Magazine you can find some familiar faces. 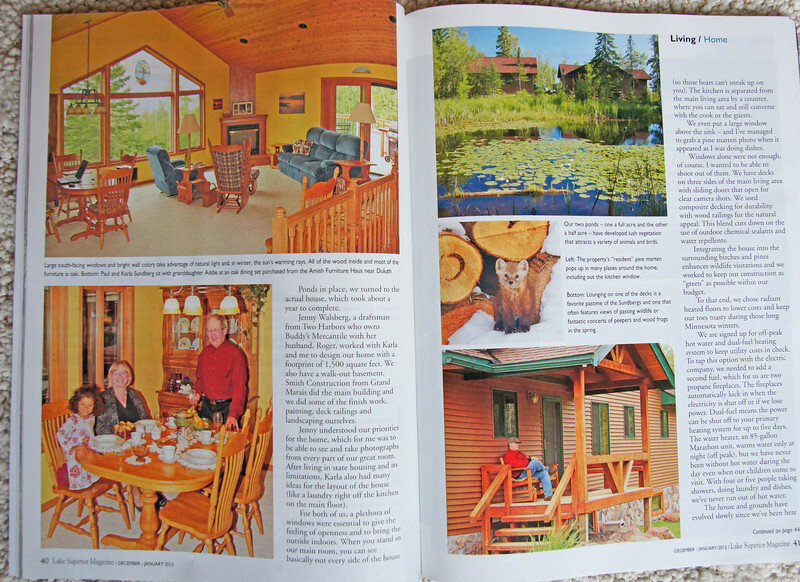 There is a story about our home in the Lake Superior Living section. It highlights the ponds and north woods setting which seems to be a magnet for wildlife. Several wildlife photos are included in the article.